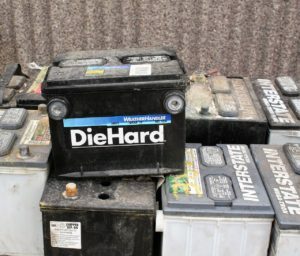 Your RV battery is the heart of your successful camping trip. A well maintained battery can extend the life of your battery and make for a very happy camping family. If you seem to be replacing batteries more frequently than you feel is normal some of these tips form Mark Polk of RV Education 101 may help. Sulfation is typically the most likely cause of battery failure. If your battery is in a low state it can collect large sulfates. You can avoid this with regular recharging of a discharged battery. There are a few other things to consider and Mark goes into detail on each of them. You can read more about it at Mark Polk: Not Another Dead Battery! We hope these tips give you a few ideas for keeping your battery in top condition and keeping your rig charged and ready for anything.